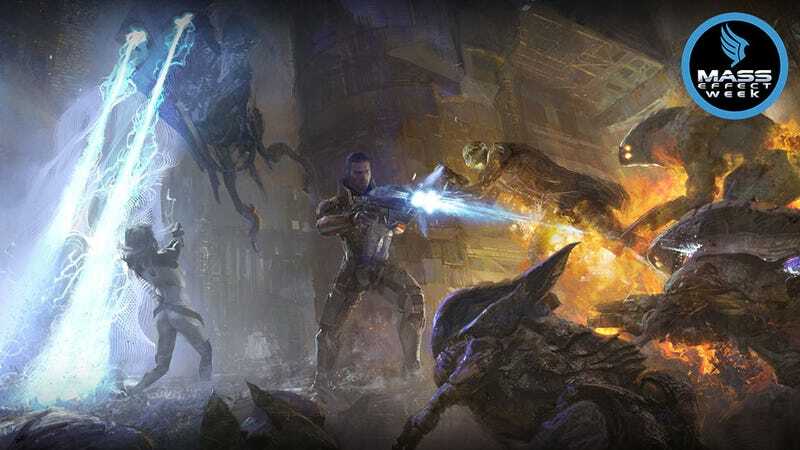 Regular readers of my concept art feature here on Kotaku would know that, yeah, over the years I've shown my fair share of work from the Mass Effect trilogy. The guys at BioWare (and, in some cases, beyond) did amazing work building the series, and that began at the ground level, with the design of the universe's people, places and technology. In celebration of our Mass Effect theme week, then, I'm going to highlight my favourite concept and promotional works from my favourite artists, whether currently at BioWare, formerly of BioWare or who were never at BioWare, but were still lucky enough to get to contribute to the series. Below you'll find not just the images, but links - where applicable - to our previous coverage of the artists in question, which will in turn lead you to their personal sites and portfolios, where you can check out more of their fantastic work.